← Can you make your neighbourhood better? One of the things you must talk about when hiring a builder is where the money is going to go. And you should be putting your money where it makes the most sense — to you. Take a look at your budget and see where you want to spend more — and where you will be more frugal. Only you can decide how your budget will be allocated. Of course, certain line items are going to cost what they cost — the foundation, walls, and roof for instance. But you can have quite a say about what goes inside the foundation, walls, and roof. We wanted a custom kitchen — and we got it. It will be gorgeous (actually it already is gorgeous, the cabinets are nearly ready to be installed). 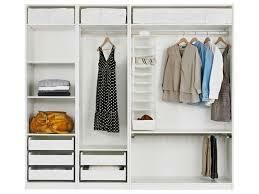 But in the bathroom and the clothes closet we are falling back on the standard — IKEA. At the time we were first conferring with Laurel, our designer, about the design of the laneway house we weren’t sure what kind of clothes closet we wanted. We had been spoiled by having a custom closet system installed in our condo, and we thought we might want the same in the laneway. So Laurel gave us a space that would fit any closet system that fits into a 200 cm width. And we left the item off the builder’s budget. But after living in the rental for a while and sharing a closet, we realized that we could design our own clothing storage system ourselves, and why spend more? Go with PAX by IKEA. Surprisingly, pretty close to what we want except for the dress — not my style. On an unscheduled trip out to IKEA last week (long, boring story) we saw that the PAX system was on sale for 15% off until the end of September. So now we had a deadline. And thanks to the Main House, we had a space to store the flat-pack boxes until the system could be installed. So I pulled out the graph paper and we started to put together a closet that works for us. Driving out to the IKEA on Saturday I had that tightening around the temples that means “I am not looking forward to this”. I love IKEA and used to love strolling around and finding things that I didn’t know I wanted, and putting them into those handy big bags and then taking them home and putting them away never to be seen or used. But this time we had to buy exactly what we needed. We had to have it delivered. And I was not looking forward to stalking the warehouse to find the right products and then wrangling them onto those airport luggage carts and manoeuvring through the check-out (I have terrible check-out karma) and then standing in line for the delivery desk. It’s a big deal. BUT when we got there and realized that part of our plan would have to be abandoned because we could see it wouldn’t work, I started to go into full anxiety-mode. We wound our way to the bedroom section and DH found an angel of mercy in a yellow shirt, Nancy, who held my hand and walked us through the process. First she drew up what we wanted on a computer that showed everything in a nice realistic rendering. She printed off a list of everything we had asked for and entered the numbers into another computer that showed whether or not they had it in stock (spoiler alert! — they did) then spoke those magic words that made all the difference. IKEA will not only deliver for a fee, but for another (perfectly reasonable) fee they will pull the items off the shelves for you. I could feel the relief radiating off DH, who was sure he would drag the wrong box off the shelf and we would have it delivered and then we would have to take it back and then there would be a lot of hassle…..and no, that was not going to happen. Nor would a grandmother-aged little old lady (me) have to lug huge boxes full of Hasvik doors onto those tiny carts. That is how a trip to IKEA that we thought would take all afternoon left us enough time to go to IDSWest. We still had a bother getting through the check-out (not IKEA’s fault — it’s my karma to get in the wrong line up and then have the cashier have to change the tape just when I get to the front) but….the items were all delivered the following afternoon. We are looking forward to seeing our new closet in place. And we are happy that we got it for the lowest price we could. We have other places to put that money. Posted in Housing, Laneway House, Uncategorized and tagged Decor, Lane Home, Lane house, Laneway House, Small House, Small Style. Bookmark the permalink.